As many of you know, I went to Santa Fe last week as the invited speaker of the Association of Public and Land Grant Universities Council of Academic Affairs national conference. * Translated, this is a conference of provosts (and a few vice chancellors and the like) from public R1 and R2 institutions. I was very anxious about this talk, because I have no experience with provosts. I don’t entirely understand their role in the new, corporatized university, and I had no idea–to tell the truth–why I’d been invited to speak on this panel on the “Faculty Life Cycle,” on mentoring and support for new tenure track hires. And then I spoke about what I call Job Market PTSD (yes I know many of you object to this term; the arguments for and against are played out in the comment thread to this post). I called my talk, “Job Market PTSD: Adjuncts, Assistant Professors and A Broken Faculty Life Cycle.” My point was, tenure track hires today are often harmed by the destructive conditions of the job market, even when they have been successful in it. They are harmed by the years of anxiety, the pervasive sense of panic and uncertainty, the indignities of years of adjuncting at poverty wages, by 10s or 100s of thousands of dollars of debt, and by a kind of ‘survivor’s guilt’ vis-a-vis all their friends and comrades still laboring in the adjunct trenches. To me it was essential to intervene in the idea that there continues to be a “faculty life cycle” that is organic, unchanging, and predictable in a time of 76% adjunctification. I also wanted to point to the new needs of assistant professors –always at risk of feeling isolated and overwhelmed — when they are coming in in drastically reduced cohorts, and dependent on mentoring from increasingly overburdened and disaffected tenured faculty. I did provide some specific recommendations for mentoring assistant professors, around perennial questions like supporting writing, protecting from excessive service, and illuminating the mystery of the external tenure reviewer (who are they, where to find them, how to cultivate them). But, while my primary request was to stop hiring adjuncts, I ended with the exhortation to create a larger campus community that included both adjuncts (who will continue to be hired) and new assistant professors. I said that a caste system in which one group was viewed as the “untouchable” was damaging and traumatizing for everyone, including those occupying the privileged tenure track position. That was my talk. Now here’s the surprise: the provosts seemed mostly pretty open to this message. Those who spoke in the Q and A and privately to me afterward did not dispute my argument at all. Mostly, they wanted to share initiatives on their campuses to replace adjuncts with longer-term instructors with benefits. While in an audience of 60 or so I’m sure there was a range of opinion, not always expressed, by and large the reception was amazingly non-defensive, open, and interested in change. “We’re chief academic officers!” one said. “We are constantly fighting a battle inside ourselves. On the one hand we must be the leading proponents of the corporatized model. On the other hand, we come from faculty, and support faculty, and support the academic mission of the university. Every day is a battle between the halves of our brains.” The audience ruefully laughed. I must say, it never occurred to me that upper administrators would be struggling (or would admit to struggling) with the corporate model in quite this way. It was heartening. While I know that one panel talk won’t change the world, I’m glad I went, and I did see some glimmers of possibility, at least from one corner of administration. The one thing I learned is that it isn’t quite right to tar all “administrators” with the same brush. Yes, they’re all complicit, and all earning large salaries as part of the escalation of administration at the expense of the educational mission. But they don’t seem to all feel exactly the same, or totally positive, about it. Provosts have some pretty familiar struggles–who knew? First off, I agree with everything you said in your talk. I’m not quite sure what “mandatory career training” means, but I get the idea. One additional item I guess I’d put on that list in a speech to provosts is universities have to change the curriculum so it can be supported without the same level of adjunct labor. For example, if we decided to make first year writing an elective rather than a universal requirement (full disclosure– my area of teaching and scholarship is writing, including “freshmen comp”), we wouldn’t have to hire so many part-timers in so many English departments. But I have to say that I’m surprised that you’re surprised. Every time I’ve heard a suit talk to faculty about the problem of adjuncts, decreased faculty lines, and the university as corporation, etc., the administrator inevitably agrees with the faculty. “Yes, yes, this is all awful. You are absolutely right.” But of course, even though they are (by definition!) in a position to make at least some of these changes, they never do. Several were certainly at pains to tell me how trapped they felt by the “out of control machine”. I agree they could do a lot more, but I was heartened that the move from adjuncts to longer term instructors with benefits was something that had been adopted by some of their campuses. TT lines aren’t coming back, and making the conditions of non-permanent employment less exploitative is a major step (incidentally one playing out at the UO in Eugene, where I live; it’s been interesting to watch the reactions and obvious mixed feelings on the part of administrators). Anyway, main point here is that I’m not 100% sure that everyone in admin is a “suit” in exactly the same way. Whatever their true intentions, faculty can use the desire of provosts to be seen as concerned about adjunctification to their advantage. I also tend to be someone who gives others the benefit of the doubt unless proven otherwise. Take them at their word, cite their concern at meetings, then use that to advocate for change. 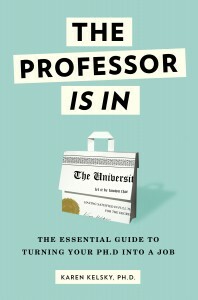 Just as there are faculty who are annoyed at the adjunct system yet continue to support it (like most of us); there are probably provosts and deans who also read the articles about adjunct professors, wish they could do something, but are (rightly or wrongly) convinced that nothing they can do will impact the problem. That’s fair– faculty play a part of the adjunct problem too and we let it happen even as we speak out against it. But again, by definition, provosts and other administrators are in a much better position to actually do something about it, and I guess I’ve seen too many suits talking out of both sides of their mouths over the years to give most of them the benefit of the doubt regarding their sincerity on these kinds of issues. I guess the question is which you want more: to promote change or to assign blame. If you want to promote change, then ally yourself with the half (or, in some cases less) of the provost’s brain that wants to preserve the university. Yes, people speak out of both sides of their mouths, and sometimes it’s a calculated smokescreen. But often it’s that, when confronted with the damage current hiring practices do, and faced with a friendly audience, they sincerely want to make things better. But when faced with a difficult choice and/or a more hostile audience, they default to the easier path of going along with the demands of those who pay their bills. I think it’s easier to see this duality if we recognize that we are all complicit in this system, including the academics who continue to apply for faculty jobs, those who continue to hire adjuncts, those who accept poor compensation and/or burdenseme workloads, and those (like me) who accept adjunct contracts ourselves. We are all complicit, but those who are willing to admit that there is a deep problem are potential allies, and we should all be finding ways to help one another live up to the commitments of our better selves. “Mostly, they wanted to share initiatives on their campuses to replace adjuncts with longer-term instructors with benefits.” I find it interesting that some of the provosts actually acknowledged a trend of hiring non-tenure track (NTT) faculty instead of adjuncts. I’ve seen this NTT trend, and now hold my second NTT position (teaching first year writing). It’s a full-time teaching load with benefits and decent salary; is it THE solution to adjunctification, probably not, but it’s a step in the right direction. It may still be somewhat exploitative, depending on dept and university, but I have a steady income and benefits, which gives me a little bit of breathing room while still looking for an elusive tenure-track job. Colleen, this is where I ended up also, in a non-TT assistant professor position. It’s definitely a step up from adjuncting, and I feel fortunate to have found any sort of work right off the bat from finishing the PhD. It seems like more of these positions are popping up. It’s still a scary spot to be in: I can’t be sure that my contract will be renewed each year. Lenders are skeptical of these types of positions so I’m having to rent an overpriced apartment again. But a 4/4 teaching load isn’t too awful, and there are great benefits. Better than adjuncting, but it really do wonder if we might see tenured positions slowly die off over the next twenty or thirty years. PS– many thanks for your advice over the years; I am an avid reader of your blog and have appreciated many of your tips, which have touched on many important topics that my advisor never did! Those who sympathise with the pain suffered by academics of low rank such as adjuncts while being the chief executors of that pain are cynical and useless. Either they don’t care and try to clear opposition by looking understanding or they don’t really understand. If they truly think like that they should resign. The problem is, as you point out, the lack of internal democracy in universities. Nobody with power ever gave it up without an opposing force that changed the correlation of forces. Kudos for your talk but we can’t expect to eliminate this caste system by action of the ruling caste. Thanks for this excellent post. I especially appreciate the way you identified about the pervasive loss of faith in the university systems. I think many of those who rely on adjunct labor don’t realize that they are only able to secure such reliable, high quality faculty at such a bargain is because of adjuncts commitment to the ideal of the university. As that erodes, they will come to see that they get only what they pay for in terms of teaching and research.